As the name of the diet suggests, this diet involves eating lower amounts of carbohydrates, but what does this actually mean? The constituents of foods are often broken down into several categories: fats, proteins, and carbohydrates. You can see how much a food contains of each of these categories by looking on the back of most packaged foods. You can also Google the food along with "nutritional information" to find out. You will find, for example, that meats contain a lot of protein but very little carbohydrates and varying amounts of fats. On the other hand, most breads contain large amounts of carbohydrates but very little of anything else. 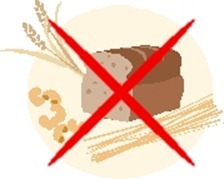 Being on a low carb diet means eating foods that are low in carbs, such as meats, eggs, cheese, and vegetables. This often results in eating foods that are higher in protein and fat. It also means reducing intake of foods containing added sugar. The amount of carbs and the types of foods each low carb dieter eats will vary greatly depending on which low carb diet they are following and how strict they are on that diet. For example, someone on the induction Atkins diet will eat only 20g of carbs a day and will avoid fruits and nuts as well as other foods containing carbs (and a few foods high in fats). However, someone on a Paleo diet (which is sometimes not categorized as low carb) may eat around 100g of carbs a day and may eat foods such as fruits and nuts, yoghurt, and dark chocolate. Even within each diet, there will be great variation (e.g., stricter Paleo dieters will not consume dairy products whereas others will). You can find out more about the different low carb diets by clicking on the links below. If you are wondering which low carb diet is right for you, then head over to the deciding on a low carb diet page by clicking here.